This weekend I participated in my first radio contest in at least 3 years with the annual WIA Remembrance Day Contest. This is a 24 hour points based contest, open to all VK, ZL and P2 stations. The first thing that was noticeably different was that the rules had changed. The biggest change is that the QSO exchange no longer swaps an incrementing serial number, but instead the number of years the person has held their license. 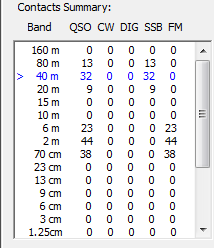 I can understand why this was done (so people do not get discouraged when hearing people with serials of 400+ indicating 400 QSOs, and giving up), but it does introduce a new issue of knowing exactly what the report is going to be if you have worked that station multiple times. You could go to the extreme in saying that an exchange of callsigns would be suffice after the first contact! As with every RD contest, I worked both HF and VHF/UHF, the latter being advantageous in that there are a local group of operators who are easy to contact every 3 hours. Working HF was just depressing, with pretty much nothing heard on 20m for most of the contest (VK4HH was the only one I heard regularly). Both 40m and 80m also seemed oddly bereft of people contesting in the evenings. I do hope that this is largely due to the solar storm impacting on operations, rather than less people participating. I still enjoyed the contest, and met the goal of 150 QSOs I had set for myself as the contest was starting. This is a far cry from the 600+ contacts from the last serious contesting I did at Penstock Lagoon but as a first crack at contesting after I break. I am happy with the result. I still remain unconvinced that my trap dipole is operating as well as it should (around a year ago someone cut the antenna element while I was having work done around the house, causing me to exchange some unpleasant words and having to replace a large section of dipole). This I will investigate in coming weeks, along with what I suspect will be the complete replacement of feed lines that have deteriorated from the many years in the sun. Next year having a 160m antenna of some description will definitely be happening, or perhaps I will go portable in the North of the state. It was good fun and I am looking forward to the next contest.